Portland, Oregon (Aug. 28, 2017) National University of Natural Medicine (NUNM) announced the launch of its newest accredited graduate-level program, the Master of Science in Ayurveda (MScA). The program will be offered to concurrent/dual-degree students in winter 2018 and as a standalone program to licensed clinicians in all medical disciplines in fall 2018. 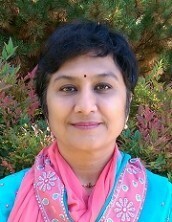 Savita Rajurkar, MD, PhD, ND (India), has accepted the position as program chair of the new Ayurveda program. She is an assistant professor at NUNM who currently teaches elective courses in Ayurveda. Dr. Rajurkar is a renowned physician, educator, researcher and author, with more than 25 years of academic and clinical experience. Ayurveda is a system of medicine in India that dates back 5,000 years. Today it is used by nearly 42 million of India’s rural population—70% of the overall population. Ayurveda has grown in popularity in the U.S. due to increased interest in Indian philosophy, as well as physical and spiritual disciplines like yoga and meditation. The MScA is designed to provide training in the art and science of Ayurveda to currently enrolled NUNM students and licensed medical professionals. It can be integrated within the practice of any medical system. The new program will include a strong foundation in Ayurvedic philosophy, classification, pathophysiology, and techniques of assessment, as well as various Ayurvedic treatment modalities including botanicals, nutraceuticals, detoxification/rejuvenation therapeutics, yoga, diet, lifestyle, and counseling. All classes are taught in English and the ancient texts have been translated to accommodate English-speaking students. Graduates of the MScA program will be prepared to offer integrative medical care through rigorous academic and clinical training in Ayurveda for the treatment and prevention of acute and chronic disease. While Ayurveda is not a licensed degree within the United States, students completing this program will be able to use an Ayurvedic framework from which to diagnose and treat patients within their own medical license. Academic classes will be held at NUNM, and required fieldwork and clinical internship training will take place at NUNM health centers and at accredited teaching hospitals in India. More information about the program is available online and will be available through the Office of Admissions. Founded in 1956, NUNM is the oldest accredited naturopathic medical school in North America and a leading educational authority in natural medicine education and research. In addition to its new undergraduate programs NUNM offers a number of doctoral and master’s degree programs in naturopathic and classical Chinese medicine, integrative medicine research, nutrition, sports medicine, and global and mental health. NUNM Health Centers, the SIBO Center for Digestive Health, and NUNM’s affiliated Portland metro community clinics provide healthcare services to many thousands of patients each year. Visit http://nunm.edu for more information.